Please log in and use this option to register online for this luncheon. 1) Please note that the $50/person event payment covers the cost of the luncheon. Prologue Society Members (and their guests, as inventory allows) receive books as a part of their membership benefits; non-members may purchase a book at the luncheon as inventory allows (quantities are limited, cash/check/credit card are accepted). 2) Regarding cancellation and no-show: No refunds or credits will be allowed without three business days' notice from the date of the event (as that is the deadline set by our venue). Julius Caesar's conquests in Gaul in the 50s BC were bloody, but the cultural revolution they brought in their wake forever transformed the ancient Celtic culture of that country. After Caesar, the Gauls exchanged their tribal quarrels for Roman values and acquired the paraphernalia of civilized urban life. The Romans also left behind a legacy of language, literature, law, government, religion, architecture, and industry. Each chapter of Caesar's Footprints is dedicated to a specific journey of exploration through Roman Gaul. 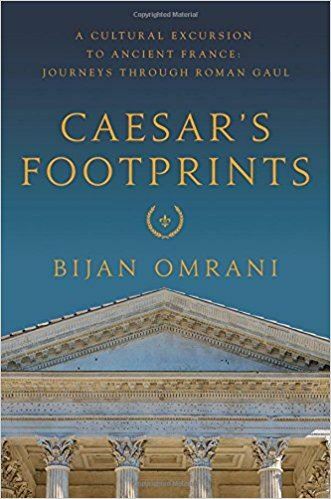 From the amphitheatres of Arles and Nîmes to the battlefield of Châlons (where Flavius Aetius defeated Attila the Hun) Bijan―an exciting and authoritative new voice in Roman history―explores archaeological sites, artifacts, and landscapes to reveal how the imprint of Roman culture shaped Celtic France―and thereby helped to create modern Europe. 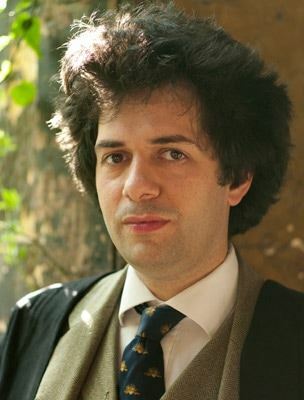 Bijan Omrani attended Lincoln College, Oxford. He is the author of various works on Central Asia, including Asia Overland: Tales of Travel on the Trans-Siberian and Silk Road, and also a Fellow of the Royal Asiatic Society and the Royal Geographical Society. He teaches Classics at Westminster School in England. DEADLINE FOR REGISTRATION: Thursday, February 15, 2018.